AlteredFocus.net – Valentine in the Queen's English! Valentine in the Queen's English! I met her in the middle of December, by January I was smitten… the photo was taken at the Space Needle in Seattle this past week on the occasion of reopening the newly remodeled Sky City Restaurant. She and I had a wonderful time, we even saw a RAINBOW that appeared and it was complete…. end to end. Love at any age is grand, don’t you think? Happy Valentine’s Day! This entry was posted on Wednesday, February 14th, 2007 at 12:13 am by Tim Hief and is filed under Blogroll, Uncategorized. You can follow any responses to this entry through the RSS 2.0 feed. Both comments and pings are currently closed. Oh I love rainbows! A sign of the beautiful things yet to come for you and your wonderful lady, I hope! I think love at any age is wonderful & grand. But at our age, I am pretty close to your age (I'm 44), I think it's even more precious because we have learned so much in our lives, and we know how fragile love can be, and we still carry that hope in our hearts! I've been divorced twice (like you, and I hate saying that too, btw, LOL), and I have never tried to give up the hope of finding love again. Love is just too beautiful to do without in life, and if we are lucky and we find it, we should hang on to it with every thing we have in our being. Happy Valentines Day to you! We had a wonderful time, and the views were fabulous. 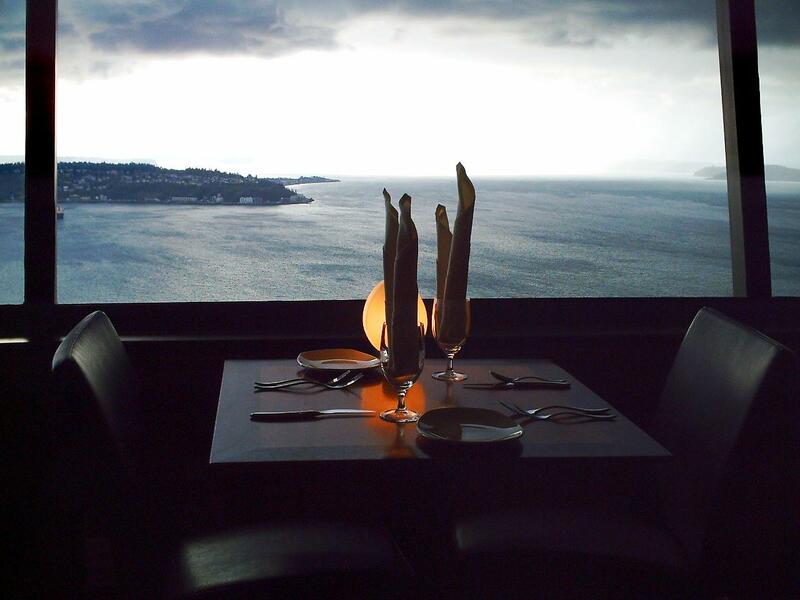 Just to clarify… I took that picture on Sunday when we had lunch at the Space Needle. 😀 We've already been! In case you are unaware, the Space Needle is a revolving restaurant so we had views of all of Seattle. Later, after lunch we walked on the outside observation deck and I got a few picture of a magnificent RAINBOW! The entire arc of the rainbow was visible, end to end. You can't script days like that. Happy Valentine's Eve, Sunny Bee. Beautiful, beautiful poem, Tim….and, I second Eve….I wish I was going there too!!!!! Hope you and your sweetie have a romantic Valentine's day together! I absolutely love the photo there–wish I were spending my dinner tnight in that spot. The poem is lovely. Even and anti-Valentine girl like me appreciated it!